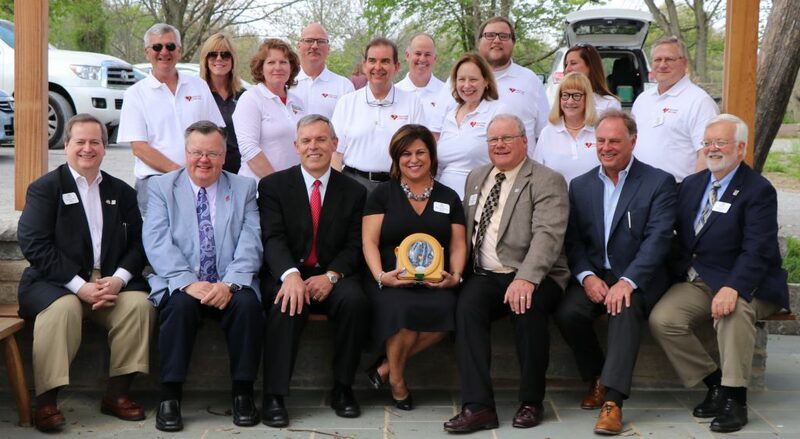 Yesterday, April 19, the REALTORS with Heart Committee of CABR presented Turner Farm with two AEDs to be used at their facility in Indian Hill. This marks the sixth and seventh AED that RWH has donated to different organizations throughout the Cincinnati area. To date, RWH has donated five AEDs to important locations throughout Cincinnati – The Aronoff Center, Findlay Market, Krohn Conservatory, Carol Ann’s Carousel and the Art Academy of Cincinnati. RWH has also trained over 1,200 people in CPR and AED usage. Turner Farm’s mission is to permanently preserve Turner and Meshewa Farms, drawing lessons from their rural heritage to help build a positive future, demonstrating that local, organic, low-impact food production grows healthy communities and healthy ecosystems. Turner Farm operations promote connections between people of all ages and the land that feeds them, in body, mind and spirit. Through education and example, they nurture understanding of the rhythms of nature, and their place in the natural world, fostering recognition of personal responsibility for stewardship of the land and development of a nurturing community. Turner Farm was an excellent choice for an AED. Pictured above are members of the CABR Board of Directors, CABR REALTORS with Heart Committee members and CABR Staff.